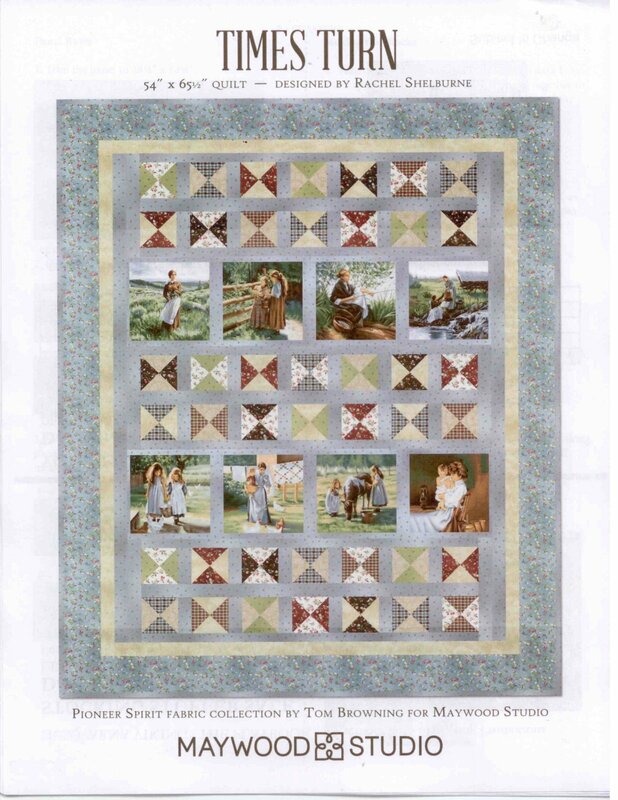 Times Turn quilt kit is made from an 8 sectioned panel and soft country colors of fabrics from Maywood Studio. It is has easy to make quarter square triangle pieces that are over cut, so that you can square each to fit perfectly. All fabrics in the kit are exact to the photo and the suggested fabrics on the color printed pattern. Kit includes the pattern and all fabrics for the top and binding.